See: All You That Are To Mirth Inclined - Notes. 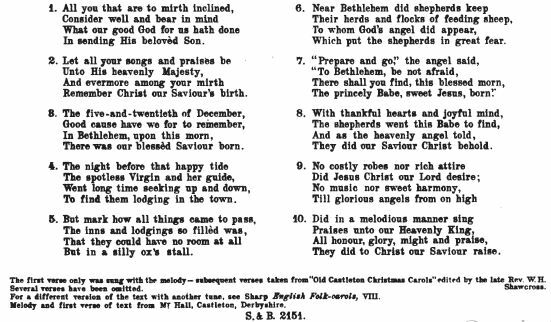 The first verse only was sung with the melody - subsequent verses taken from "Old Castleton Christmas Carols" edited by the late Rev. W. H. Shawcross. Several verses have been omitted. 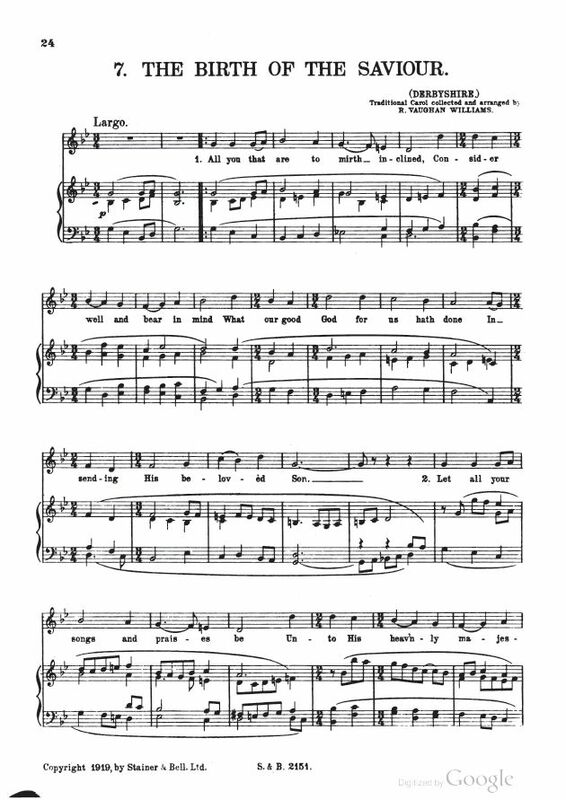 For a different version of the text with another tune, see Sharp, English Folk-carols, VIII [The Sinner's Redemption]. Melody and first verse of text from Mr. Hall, Castleton, Derbyshire. 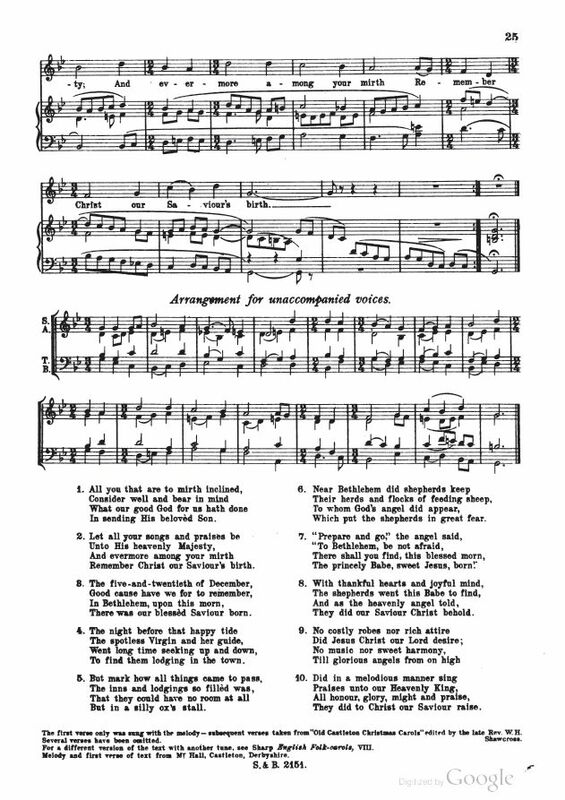 The R. Vaughan Williams arrangement for both soloist and SATB can be obtained from Stainer & Bell, Ltd., London, as a part of Eight Traditional English Carols (Carol #7). Editor's Note: There are a number of carols on this website with similar titles or lyrical themes, and some of which are derived from a single source. See: All You That Are To Mirth Inclined - Notes.